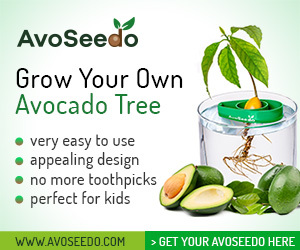 DAY 29 - 30DaysOfAvoToast: Very Vegan Summer Burger - AvoSeedo - Grow your own Avocado Tree! While I love my meat and dairy I also love embracing veggies with vegan meals! Vegan foods are always easiest for the body to digest and are an easy way to have a lower-calorie meal. This vegan avocado burger is an easy and flavorful way for anyone to get in their recommended daily serving of veggies. Prepare the chickpeas burger. We used this recipe here. Preheat oven to 400 degrees. Heat 1 tablespoon olive oil in a small saucepan over medium heat. Add onion and sauté, stirring occasionally, for 5 minutes until soft and translucent. Remove from heat and place in a large bowl. In a food processor, blend carrot, garlic, parsley, and chickpeas until smooth. Add chickpea mixture to bowl with onions and mix to combine. Add bread crumbs, salt, coriander, and cumin, and mix until fully combined. Lightly grease a baking sheet. Form chickpea mixture into four patties about 3 inches across and 1/2-inch thick. Place on prepared baking sheet and use a pastry brush to brush patties with remaining 1 tablespoon olive oil. Bake 15 to 20 minutes, or until beginning to turn golden brown. Cut avocado and tomato into slices. 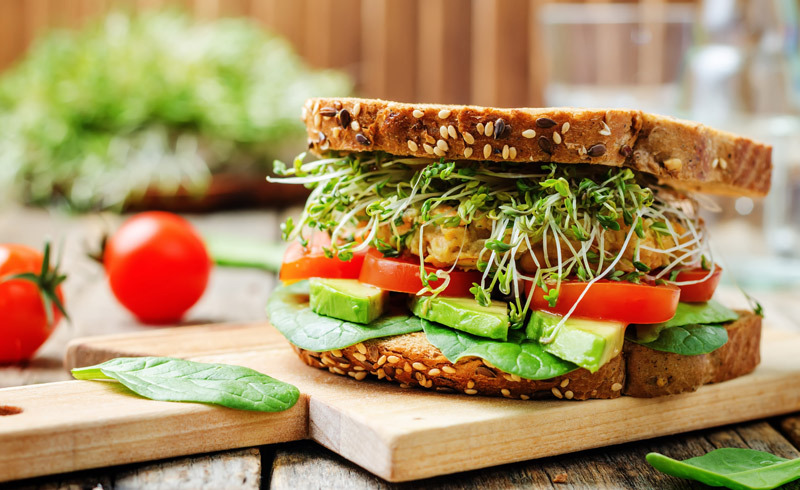 Put spinach, avocado, tomato, chickpeas burger and cress between to slices of bread. Season with salt and pepper. This entry was posted in Recipes and tagged 30daysofavotoast, Avocado, avocado toast, bbq, burger, chickpeas, cress, grill, healthy, spinach, summer, vegan.